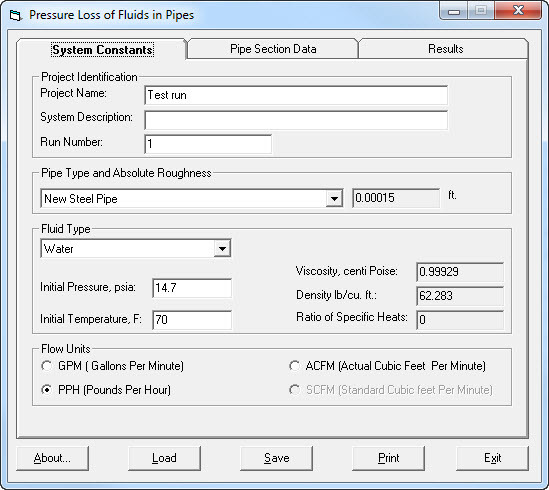 This program calculates the pressure loss of fluids flowing under pressure in circular pipes. 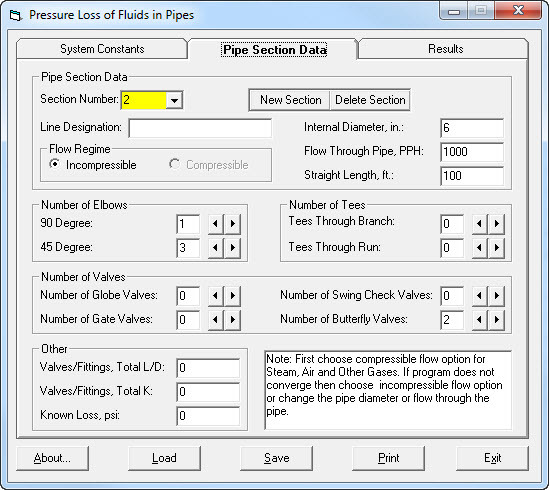 The program can calculate flow in either compressible mode (for gases) or incompressible flow. It allows a choice of units: gpm, pph, scfm, or acfm. Any single-phase liquid or gas can be accepted. The properties of water, steam and air are built in.